We spent last week holidaying in Norfolk on our staycation. We stayed at my parents house just outside Norwich and took ourselves out on day trips. I hadn't spent any substantial time in Norfolk since leaving at the end of 2008 to chase adventure in London so it was lovely to spend some quality time in my home county. When we were packing for our trip the weather had looked a little dreary with rain showers predicted. I admit I was in a little bit of a sulk when I was throwing clothes into my case and mostly packed jeans, a heap of T-Shirts and lots of jumpers. Luckily last minute I chucked a couple of pairs of shorts in because the forecast ended up being completely wrong and we had a week full of sunshine and soaring temperatures. By the end of the week Norfolk had reached a very hot 28 degrees and I found myself having to buy a sun dress! As we're still relying on hire cars to get ourselves about we picked up a car for the week. Simon was less than impressed when he saw our yellow Skoda with manual wind down windows and no central locking. It was a very basic car and reminded me of the first car that I ever owned. By the end of the week we had grown quite attached to it and it ended up being the perfect car for navigating the tiny country roads in Norfolk. 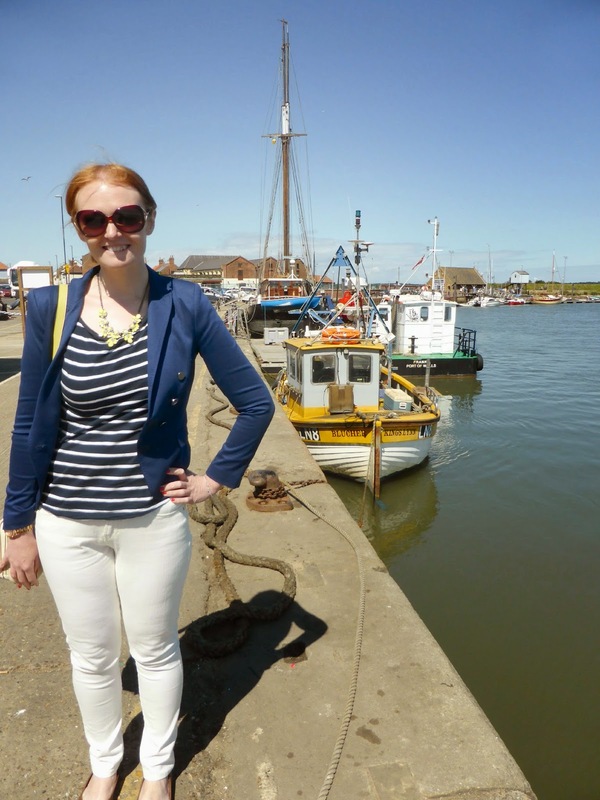 For our first day trip I decided we should head to the North Norfolk Coast. 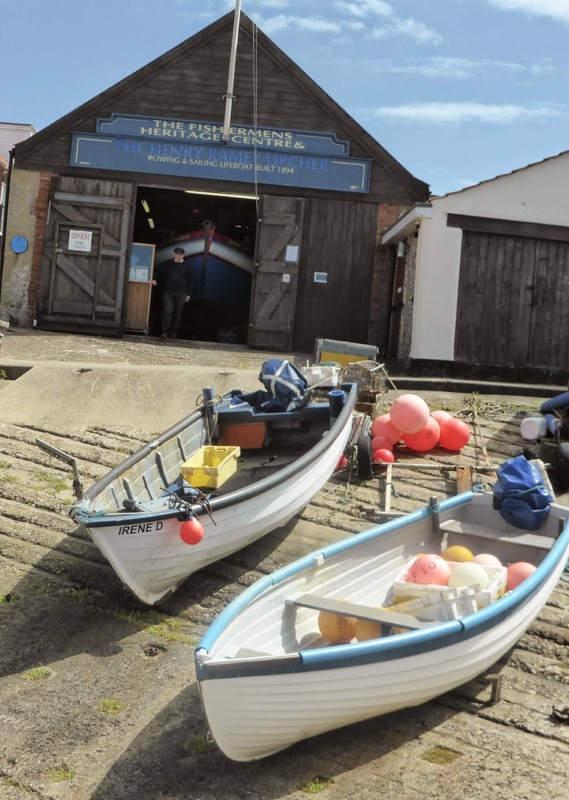 Norfolk has some beautiful coastline and there are plenty of great places to stop and explore. Unfortunately there are so many it's impossible to do all of them in one day so we had to pick out just three to stop at and admire the others as we drove through them. Our first stop of the day was Wells-Next-Sea where I'd never actually been before. 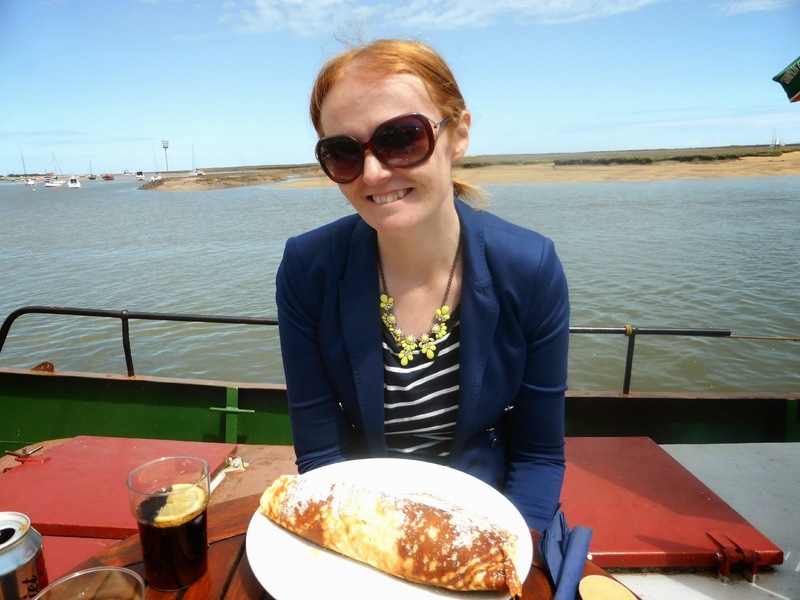 Wells is a very small coastal town which is an ideal place to wander in the sunshine. 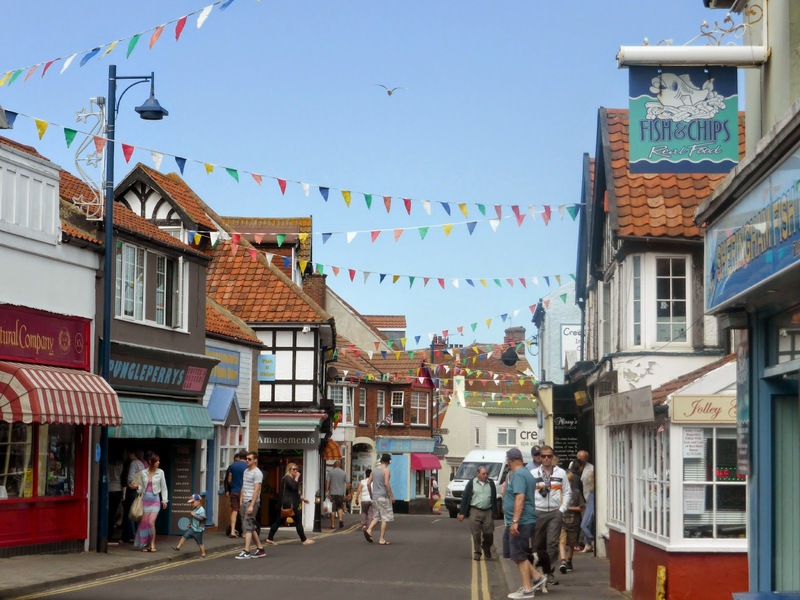 There are a handful of seaside shops and some lovely walks and places to sit and admire the view. 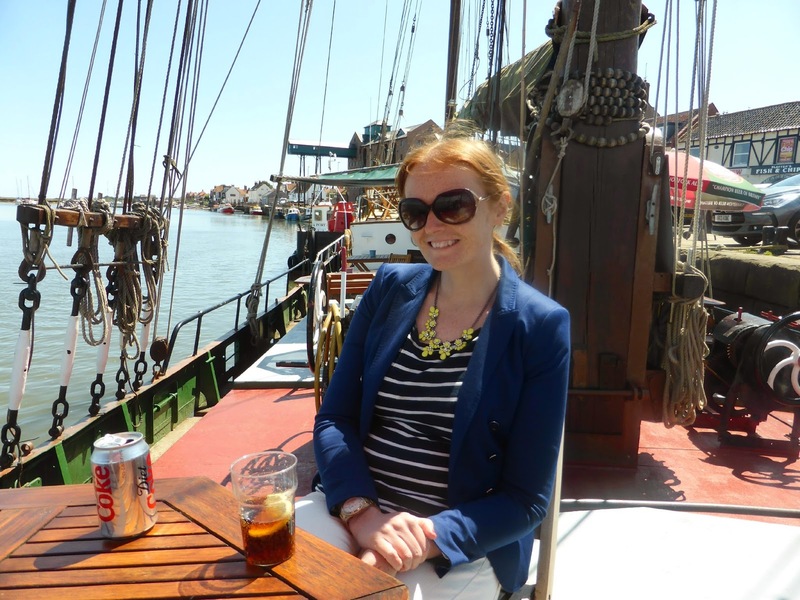 It was the perfect location for lunch and on the recommendation of Jenny there was only one place I wanted to go, The Albatros, a former Dutch cargo ship which is permanently moored in the harbour serving huge pancakes on deck in the sunshine. Of course when you're on holiday there's no need to stick to any kind of eating rules so for my lunch I enjoyed a pancake served with black cherry and ice-cream. The menu is bursting with fantastic omelettes and pancakes with so many different fillings to pick from. After a very enjoyable 17 mile trip along the coast road our next stop of the day was Sheringham, a more commercialised seaside town and home of North Norfolk's steam railway. After a mooch past the shops (and a quick stop to purchase some fudge) we found ourselves at the sea front and had a little walk in the sunshine admiring the views. We couldn't drive to the North Norfolk Coast without making my favourite seaside town our last stop of the day. 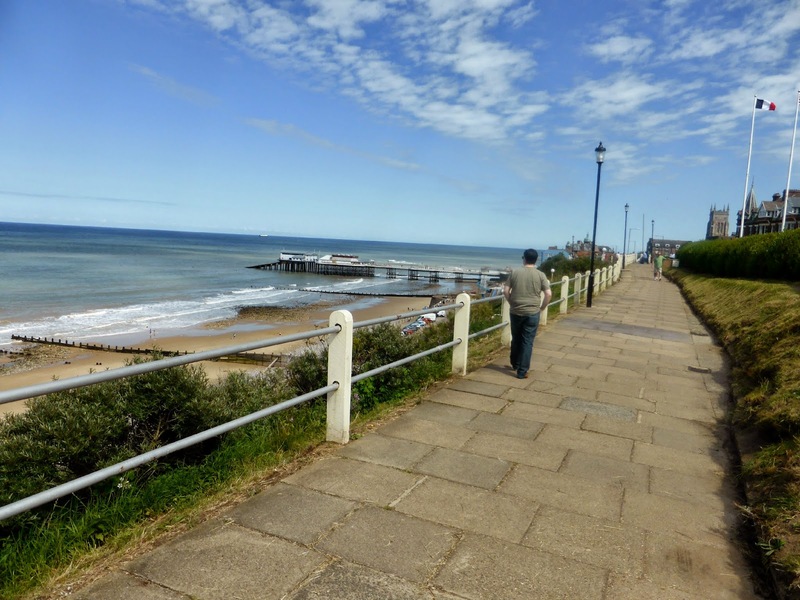 Cromer was one of the places I enjoyed visiting when I lived in Norfolk. I love how traditional it is and it's hardly changed since my childhood. 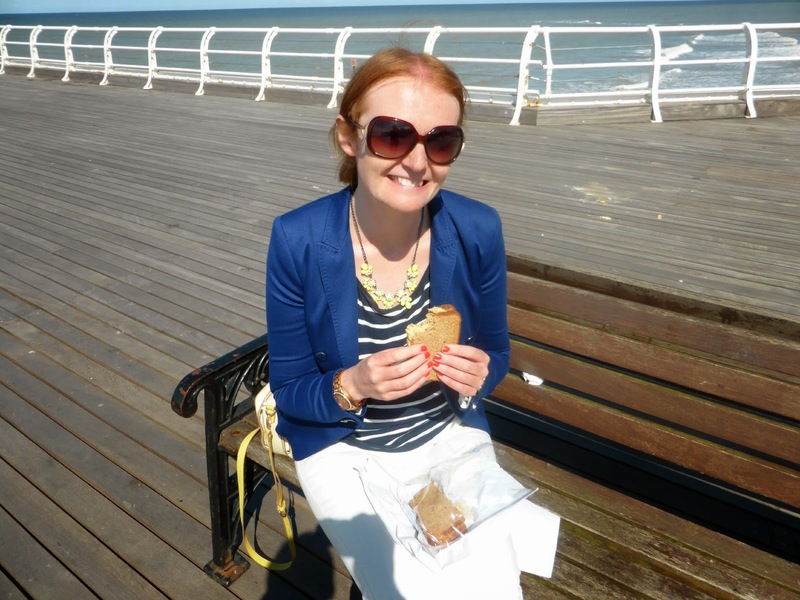 It has the best promenade to stroll along, a beautiful Victorian pier and delicious seaside food. One of my favourite things to do is to walk to the very bottom of the pier and watch children catching crabs, I'm always impressed to see how many they have in their buckets as I was never very good at it. 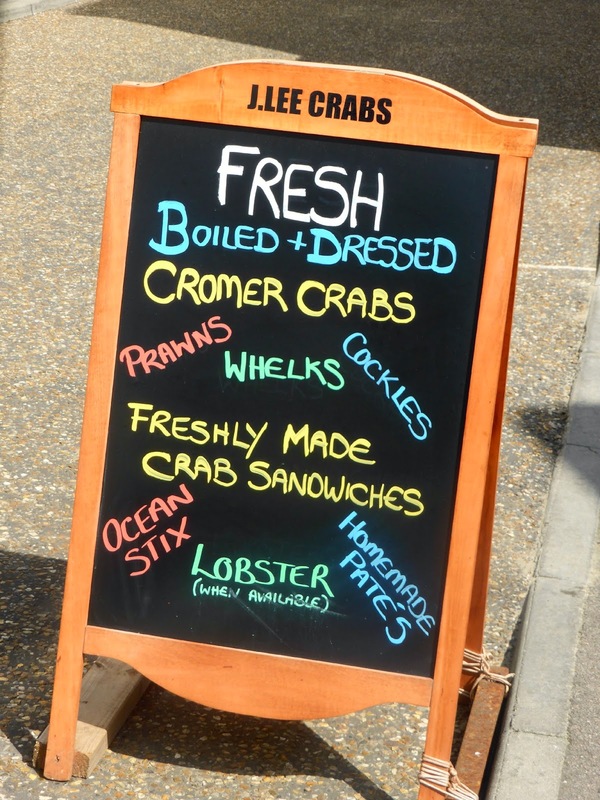 Cromer is famous for its crab and they can be bought at many places through the town in salads, sandwiches or in their shells. Despite being very full from my pancake I managed to fit in a Cromer Crab sandwich, just because there was no way I was leaving without having one! 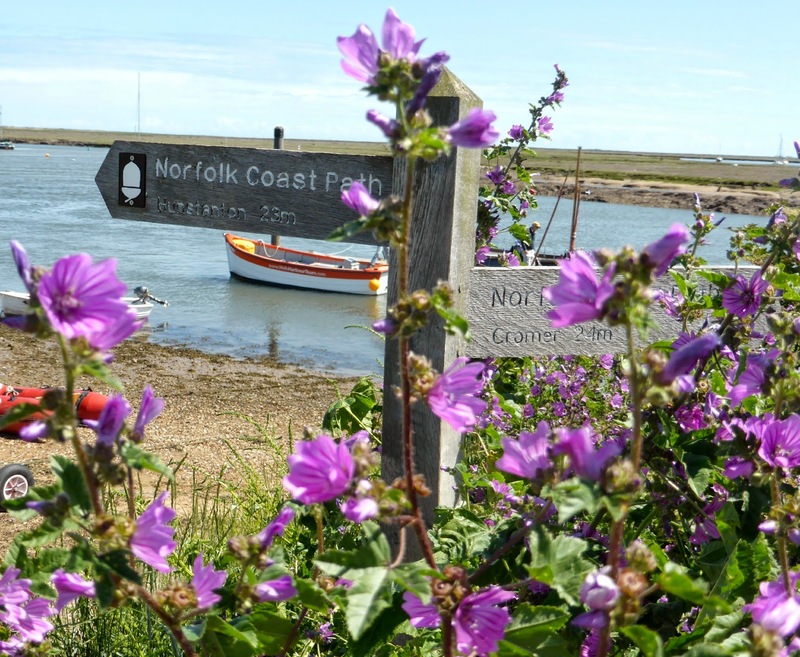 If you every find yourself in Norfolk make sure you head to the beautiful North Norfolk Coastline, there is so much to see and do, tons of wildlife and the most idyllic towns and villages to stop at along your way. Let me know if you have any favourite seaside spots. I'll be posting about our other Norfolk adventures later in the week so get ready for lots more seaside fun and plenty of food. So glad you made it onto the Albatros!! I hope it didn't disappoint. I feel the pressure when I recommend these places :) You look like you had the perfect weather for it. Can't wait to read the rest of your posts. this looks so much fun! I love Norfolk, had so much fun there when I went and I hardly got to see half the stuff you've posted about. Main thing is... THOSE PANCAKES. I want them. I want them so bad. They were amazing, I wish I could have pancakes for breakfast every day! Thank you :) I still can't believe we were that lucky! Yep the jeans are from my recent Primark haul, I love them! That is one serious pancake, it looks delicious and black cherries are one of my all time fave things. I love your nautical look too very chic! Great post, glad you have a lovely time! Cracking start to the holiday - were you very sad that you *had* to buy a sundress?? I've never done Norfolk but it just looks stunning.